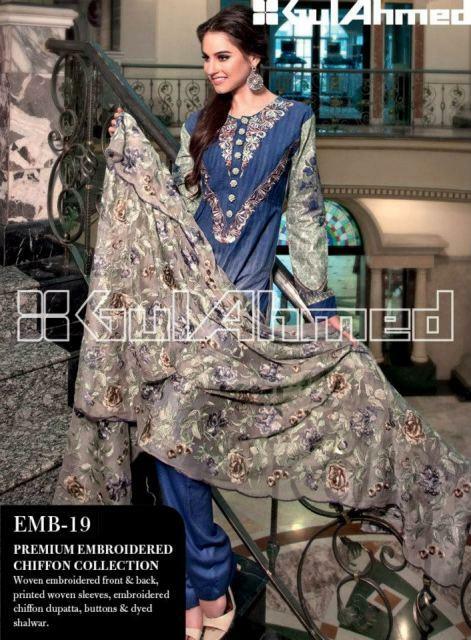 Gul Ahmed Textiles proudly present Premium Lawn collection 2013. A superb fusion of classic and contemporary, a perfect blend of exotic and traditional designs set in vibrant hues and printed on premium quality fabric. Chiffon, Silk, material used in this collection by Gul Ahmed. Gul Ahmed Premium Lawn 2013 is a signal of love and is designed for women who appreciate fine things in life. A sensation of beauty and class for every woman who wears it. 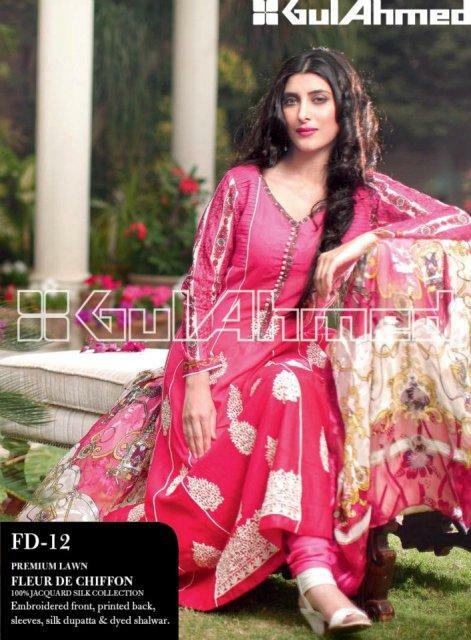 Amazing color schemes and lavish printed designs all make up the new summer premium lawn collection 2013 by Gul Ahmed.